(RxWiki News) For men, sleeping too much or too little could raise diabetes risk, a new study found. 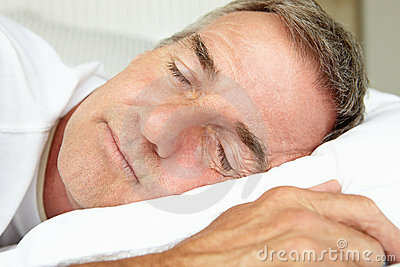 This study looked at sleep duration and diabetes in 788 adults. Diabetes is a disease marked by poor blood sugar control and insulin response. Untreated, diabetes can lead to heart and kidney complications, among other health problems. Over the last half century, average sleep time has decreased and diabetes has increased, the VU Medical Centre, Amsterdam, researchers behind this study noted. These researchers found that men who got more or less sleep than average were the most likely to demonstrate reduced ability of their bodies to control their blood sugar. "Even when you are healthy, sleeping too much or too little can have detrimental effects on your health," said senior study author Femke Rutters, PhD, in a press release. "This research shows how important sleep is to a key aspect of health — glucose (sugar) metabolism." These findings did not ring true for the women in this study, however. Talk to your doctor about how to improve your sleep and lower your diabetes risk. This study was published in the Journal of Clinical Endocrinology and Metabolism.